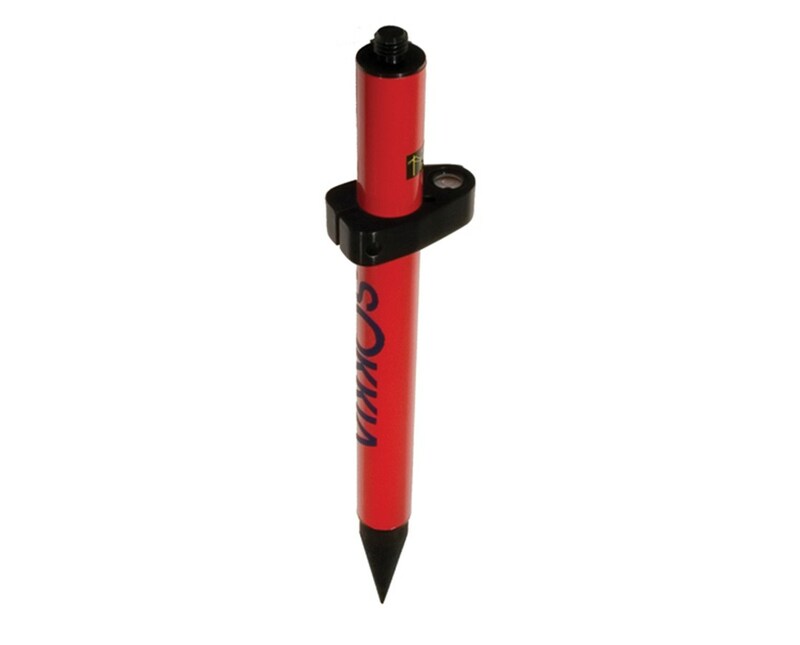 The Sokkia 1-Foot Mini Stake-Out Prism Pole 724242 offers all the features surveying professionals need in a prism pole with the added bonus of a compact size. 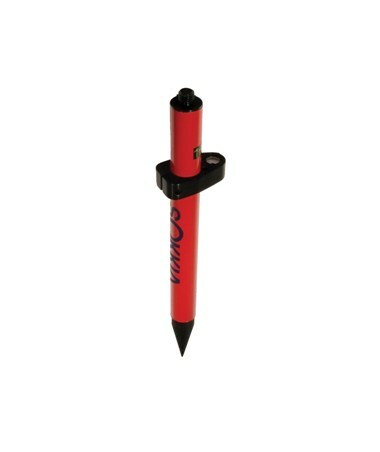 This mini stake-out prism pole stands 1.29 feet tall and consists of one, solid red section. It has a 5/8 x 11-inch mounting thread on top as well as a fixed tip on the bottom. It also has a built-in leveling vial for quick leveling reference. Constructed of carbon fiber, this mini prism pole is wear-resistant for reliable performance in a variety of working conditions. A carrying case is included.